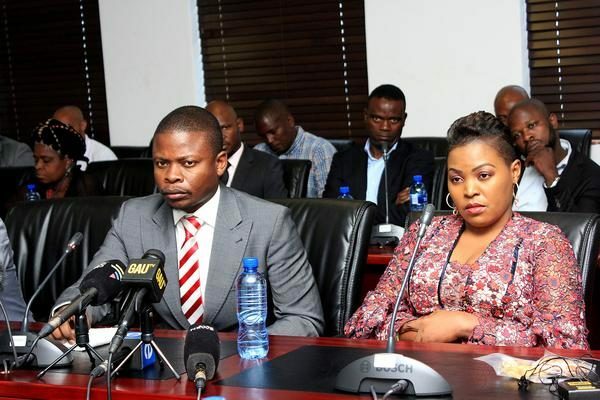 #Bushiri Arrest – Justified or Could It Be a Witch Hunt? Last friday, a day after ECG were cleared on the stampede case hearing, Enlightened Christian Gathering’s (ECG) Leader Shepherd Bushiri (35) famously known as Major 1 and his wife Mary Bushiri (37) mostly known as mum, was arrested at a prestigious Hotel in South Africa on charges of money laundering. Upon their arrest many speculated that vast numbers of their congregation would dwindle and that many would walk away from the church. However, that has not been the case. If anything, it would appear that, this “witch-hunt” as some have called it, has propelled fame for ECG and its leaders. On Sunday, crowds of over 25,000 were in attendance and some had to be sent away to maintain safety standards. On Monday, Crowds were out in their multitudes supporting ECG pastor Bushiri and his wife Mary, as they made a brief appearance in the Pretoria Specialized Commercial Crimes Court where their case was postponed a further three days to allow further investigations. This means they will spend two more nights behind bars, after he was remanded in custody until Wednesday. Many have questioned whether these charges are justified or simply just a witch hunt due to the success of their ministry.